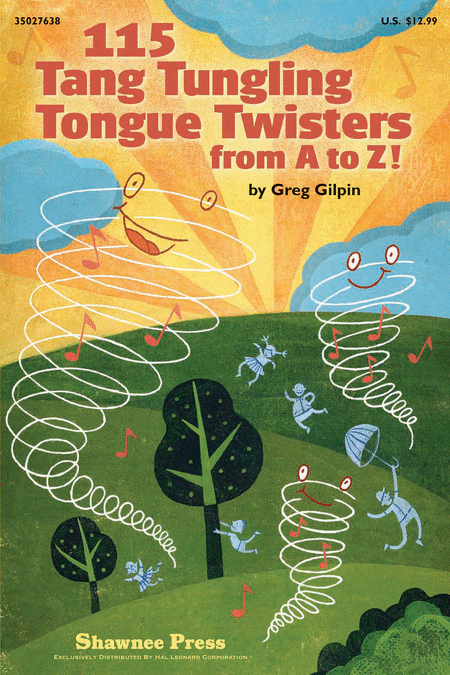 This collection of enjoyable and challenging tongue twisters using every letter of the alphabet is set to fun music for all ages. Say them! Sing them! Use them to focus your choir's attention! These tongue twisters are effective tools to improve diction and enunciation, while offering some amusing "icebreaker" moments. Whether used as a warm-up, warm-down or focus moment, they will taunt even the most talented in town with a tang-tungling time! Greg Gilpin has written the piano accompaniment with chord symbols so your choir can move up and down the scale with ease.